Rebecca Lukens was an American businesswoman, who ran a steel mill from 1825 until her retirement in 1847. In the mid-1990s, the mill – the Lukens Steel Company – was considered the oldest continuously operating steel mill in the U.S. In 1994, Fortune magazine named Lukens America’s first female CEO of an industrial company and inducted her into the National Business Hall of Fame. 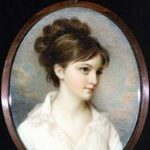 Rebecca Webb Pennock, the eldest daughter of Isaac Pennock, was born on January 6, 1794. She grew up in the business, often accompanying her father in the mill. She had a great desire to learn, and with the support of both her father and cousins, Rebecca received a much better education than most girls of her era. She attended a boarding school in Wilmington, Delaware, where she studied French, mathematics and the sciences. Isaac Pennock was the grandson of a prominent Quaker farmer Joseph Pennock, who arrived in Philadelphia in 1701 to oversee his many land titles in the Philadelphia area. He attended Quaker meeting in Philadelphia before moving out to the frontier of early Pennsylvania in 1710. There in 1738 Joseph built a large brick mansion named Primitive Hall. Rebecca’s father Isaac Pennock grew up in the Quaker community around Primitive Hall. By the late 1780s the iron industry seemed to be a way in which to make a dependable living. All frontiersmen needed tools and nails to tend to their fields and build their wooden plank houses. Housing back then was accomplished with the local saw mill producing wooden planks that were nailed together with rod nails furnished by the slitting mills. This is where Isaac Pennock wanted to make his mark – by producing iron and nails for use in developing settlements. By 1793, Pennock was owner and operator of the Federal Slitting Mill on the Buck Run tributary to the Brandywine River near Coatesville, Pennsylvania. This facility produced iron rods that were then cut into nails, strips for wagon rims and barrel hoops, as well as blacksmith iron. The slitting mill did very well for Isaac, and in 1810 he purchased the Coates farm along the Brandywine River and converted the sawmill on the property into an ironworks called the Brandywine Iron Works and Nail Factory, named after Brandywine Creek, which supplied the water that generated all of the power for the mill. Shortly thereafter Rebecca traveled to Philadelphia, where she met and fell in love with Dr. Charles Lukens. They were married on March 23, 1813. Lukens soon left his medical practice, and the newlyweds moved in with the Pennocks, and Charles soon joined his father-in-law in the iron business. Rebecca quickly became a new mother, and was not involved in the business for a while. However, Charles was a quick learner, and Isaac made him a partner. 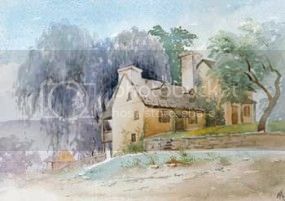 This is an artist’s rendition of Rebecca Lukens’ home at the Brandywine Iron and Nail complex. It had been neglected for many years, but is currently being renovated. 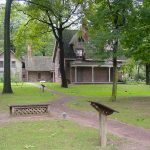 In 1816 Isaac began leasing the business to Charles and Rebecca Lukens for $420 a year, and the couple moved into the Brandywine Mansion on the property. Together they began restructuring the mill, and after experimenting with new technologies Rebecca and Charles agreed that boiler plate steel – and the big contracts that went with it – were the future of iron, so they refitted the mill to produce boiler plate. In December 1818, the mill became the first in the United States to produce boiler plate steel – a relatively thick, high quality sheet steel. Business was precarious, but looking up when Isaac Pennock died in 1824. Despite his reassurances that he was leaving Brandywine Iron and Nail to Rebecca, his will was ambiguously worded. However, since the mill was on the verge of bankruptcy, the family decided to leave it in the hands of the Lukenses, while two of Rebecca’s brothers took over the slitting mill. 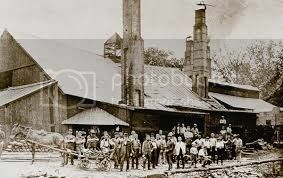 On March 31, 1825 the Brandywine mill received an order for enough boiler plate to construct the first iron hulled steamboat in America, the Codorus. Boiler plate is steel that is formed by an industrial process into thin, flat pieces, which is one of the fundamental forms used in all metalworking. Boiler plate can also be cut and bent into a variety of shapes. This rolled steel was also used to build boilers, steam engines and locomotives. This was the type of business that Rebecca and Charles had foreseen to be the future of their mill. However, Charles did not live to see the order completed. He suddenly fell ill, and died unexpectedly at the age of 39. After Charles’ untimely death, Rebecca Lukens was pregnant with her sixth child when she inherited and assumed management of Brandywine Iron and Nail. Only three of her five children had survived infancy, but she was compelled to save the business in order to support her family. She stepped into a near-bankrupt steel mill, and convinced the workers to stay with her. Lukens completed the largest order the mill had received to date, and the steamboat Codorus was launched on November 22, 1825. She saved the mill from bankruptcy by making the company the nation’s chief producer of boiler plate, some of which was sent to England to be used in the first railway locomotives. Therefore, Lukens is credited as the first woman in the United States to be a part of the iron industry and the first female chief executive officer of an industrial company. Under her direction, the company became a major player in the steel business, winning commissions for sea-going vessels and contracts for locomotives and Mississippi steamboats. Brandywine Iron and Nail became known for the superior quality of its products, because Lukens refused to accept anything less. She became a savvy businesswoman and invested in other ventures, including a warehouse, store, saddler’s shop and ten dwellings for her workers. This diversification allowed her to stay afloat during difficult financial times. 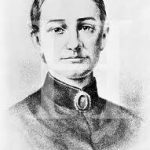 Rebecca Lukens became an icon for the steel mill, as well as America’s first and most prominent female industrialist. Within ten years, the business was thriving under her leadership. In 1834, during the transportation revolution, her steel mill was a leader in the production of boiler plate for locomotives and iron rails for the railroads. The company also produced iron bands to make nails, barrel bands and other products. The mill had been entirely remodeled, and rebuilt from the very foundation. Dam entirely newly built, Wheels put in, castings, furnaces, mill head, mill house much larger, all were built anew; not a vestige of the old remained… I have thoroughly repaired the mansion house, built good and substantial tenant houses for my workmen, and put much time and fencing on the farm and have been at the whole expense of defending the property from an attempt made to destroy the water right… and our character for making boiler plate stood first in the market, hence we had as much business as we could do. 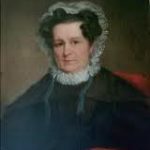 During 1834 she also opened a store, warehouse and freight agency at the Coatesville train depot providing access to Philadelphia and Pittsburgh. Lukens successfully steered her company through the national financial crisis known as the Panic of 1837. Relying on tried-and-true business principles to stay calm during the tumultuous time, she continued to modernize her mill and refused to slash iron prices. Rebecca Lukens, however, was getting older. Her daughter Martha married Abram Gibbons Jr. in October 1841, and he joined the firm in 1842 and was made a full partner in 1844. In 1847, daughter Isabella married Dr. Charles Huston, a physician from Philadelphia. These sons-in-law slowly took over all operations at the mill. Lukens ran the company until 1847, making it into the country’s premier manufacturer of boiler plate. During her retirement she wrote an autobiography for her grandchildren. In 1848, she built a mansion she named Terracina as a wedding present for her daughter Isabella and Dr. Huston. 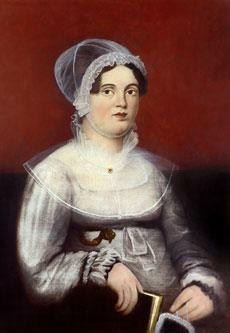 Rebecca Lukens continued to live in Brandywine Mansion until her death on December 10, 1854, at the age of 60. She is buried in Ercildoun, south of Coatesville, in the Fallowfield Orthodox Friends (Quaker) Burying Ground. The Liberty Ship, the SS Rebecca Lukens, built in 1944, was named in her honor. More than thirty years after her death, Brandywine Iron and Nail became the publicly traded Lukens Iron and Steel. The company remained listed on the New York Stock Exchange until 1998, when it was purchased by Bethlehem Steel. This district is associated with Rebecca Lukens, who played a leading role in the 19th-century American iron industry. The firm she owned and managed – Brandywine Ironworks (later Lukens Steel Company) – was one of the industry’s major firms in the decades before the Civil War. She was the only woman in the antebellum period to head a heavy industry that had interstate and international interests. The example set by Rebecca Lukens gradually established a pattern that became more prominent in the late 19th century and beyond, in which family businesses gave women the opportunity to manage and own large concerns. Lukens served as matriarch of an industrial dynasty; her family continued her commitment of fairness to workers and innovative technology. Throughout history, women have cracked glass ceilings and climbed over legal, societal and financial barriers to shape the ever-evolving American business culture. Even during our nation’s infancy – when females were not permitted to own land, sign contracts, run for office or vote – women contributed significantly to big business. Some contributions were made in secret, others in bold defiance of prevailing restrictions.